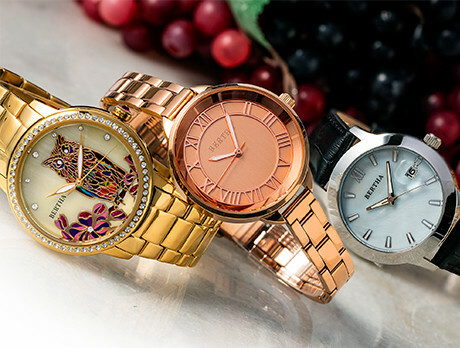 Celebrating individuality through their eclectic designs, Bertha Watches creates timepieces which exude contemporary charm. What began as a small Austrian watch company in the 1920s, founded by Bertha Gleisner herself, has since become an international hit. Continuing Bertha's passion for the unique through vibrant dials and playful patterns, discover a legacy worth wearing.